Please take a few minutes to explore our website and learn more about our club. We seek to bring awareness to Scandinavian countries and their culture. We have members of all ages and we host events throughout the year with a Scandinavian flair. Click here for more information on joining our club. In August 2019 we are planning another cycling tour in Scandinavia. Join us for a cycling adventure in Finland! Click here for more information on this exciting event. 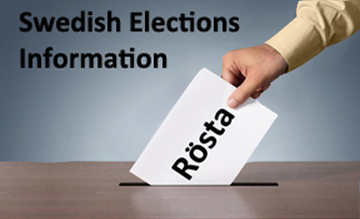 The 2018 Swedish general election, scheduled for Sunday 9 September 2018, will elect the members of the Riksdag which in turn will elect the Prime Minister of Sweden. Kelly Nelson talks about the 40th Anniversary celebration on CTV News.